DSL is a Gas Safe/Oftec Registered Mechanical Contractor, holding company-wide SSIP certification, with extensive experience and technical expertise in industrial and commercial projects across a broad client base. Our clients include many in the education and healthcare sectors, local and county councils, private and public companies and government departments. 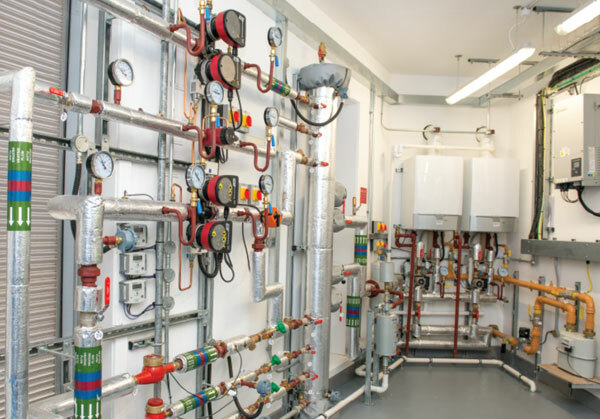 DSL offer a full range of Mechanical Services installations including in-house Design Consultancy with ‘CAD’ capabilities, as well as being accredited through BESCA (Building Engineering Services Competence Assessment) for self-certification of ‘Controlled Services’ under the current Building Regulations. DSL are, therefore, able to offer a truly complete service for clients, from concept to completion. From design to installation and final commissioning DSL’s team of Building Services engineers work with you to ensure your full expectations are met and that your installation is compliant with the latest regulations and standards. DSL is an authorised partner of Hamworthy Heating and Remeha Commercial. DSL offer boiler servicing, maintenance and commissioning services. Our engineers have extensive levels of practical and diagnostic experience and are highly trained, so that you can be assured that your products are running at optimum performance. With an exhaustive range of spare parts for all commercial boilers, water heaters and pressurisation units, we respond appropriately to reactive maintenance calls to reduce any downtime and offer a 24/7 call-out facility.